How Amlodipine and Telmisartan works (mode of action)? 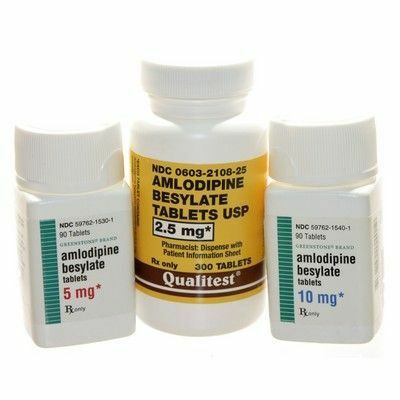 Amlodipine is a slow but long-acting calcium channel blocker or calcium antagonist. It acts by inhibiting the calcium ion influx through L-type calcium channel across the cell membrane. After entering in the cell, calcium ions binds to calmodulin and form calcium bound calmodulin complex. This calcium-calmodulin complex activates the myosin light chain kinase (MLCK) which catalyses a key step in muscle contraction that is the phosphorylation of regulatory light chain subunit of myosin. Inhibition of calcium ion influx results in the decreased contractile activity of arterial smooth muscle cells. This reduction in contractile activity of arteries can cause the vasodilation. Effect of vasodilation finally results in lowering the blood pressure. It is also supposed that Amlodipine inhibits the activity of carbonic anhydrase I in vascular smooth muscle. Therefore, it causes the increase in pH which may be involved in the regulation of intracellular influx of calcium. 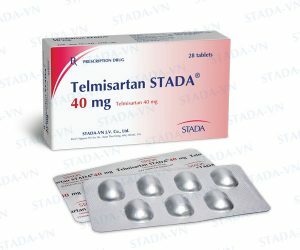 Telmisartan is belongs to the angiotensin II receptor antagonist (ARB) class of drug which is widely used in the treatementt of hypertension. Angiotensin II receptor blockers (ARBs) commonly act through binding with angiotensin II type 1 (AT1) receptors. This results in inhibition of angiotensin II and therefore reduction in arterial blood pressure. Similar to other ARBs, Telmisartan also interferes with the binding of angiotensin II to the angiotensin II AT1-receptor in vascular smooth muscle and the adrenal gland. Telmisartan binds with angiotensin II type 1 (AT1) receptors selectively and reversibly. Angiotensin II is involved in vasoconstriction which is involved in synthesis and release of aldosterone. Inhibition of vasoconstrictor and aldosterone secretory effects of angiotensin II results in decreased systemic vascular resistance and reduction in arterial blood pressure. Recent studies have shown PPAR-gamma agonistic properties of Telmisartan. These studies suggested the mode of action of Telmisartan through PPAR-gamma agonistic. PPAR-gamma is a nuclear receptor that control the transcription of specific genes involved in the regulation of glucose metabolism, lipid metabolism, and anti-inflammatory responses. Can both Amlodipine and Telmisartan be taken together in combination? Yes, Amlodipine is commonly used in combination with Telmisartan to treat high blood pressure (hypertension) and prevention of heart attacks, stroke and kidney problems. The combination product is available under brand name Twynsta and contains 2 medications: Telmisartan (angiotensin receptor blocker (ARB)) and Amlodipine (calcium channel blocker). The mode of action of the two drugs is different but both of them work effectively to relax the blood vessels and overall blood flow. The combination of Amlodipine and Telmisartan is used when individual drug alone is unable to control blood pressure. The use of Amlodipine and Telmisartan alone or in combination is strictly contraindicated if someone is hypersensitive or allergic to any of the components/ingredients of Amlodipine or Telmisartan. Use of Amlodipine is not recommended in some medical conditions such as aortic stenosis (a disease which is characterized by contraction of the left ventricle outlet of the heart), hypotension patients (low blood pressure) and liver disease. The use of Amlodipine is contraindicated in combination with vasodilator, CYP3A4 inhibitors ( ketoconazole , clarithromycin), calcium channel blockers agents, antifungal agents ( itraconazole and voriconazole), antihypertensive drugs, and macrolide antibiotics (sulfisoxazole). It is recommended to inform your doctor or pharmacist about your past medical history most important if you have any kind of liver disease. It is suggested to avoid use of grapefruit or grapefruit juice because they can cause an increase in serum Amlodipine level which may cause toxicity. It is also important to inform your doctor and pharmacist about the use of any prescription and non-prescription medications or herbal products. Telmisartan may interact with following medical condition, therefore, it is advisable to tell your doctor or pharmacist if you have any medical conditions. i.e. pregnancy, breast-feeding, heart problems , blood vessel problems, liver problems, diabetes, or kidney problems, autoimmune disease (eg, lupus, scleroderma) etc. 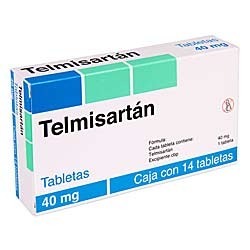 It has been observed that Telmisartan may interact with some of the medications, therefore, it is advisable to discuss with your healthcare provider, if you are taking any medicines. It is advisable not to take Amlodipine or Telmisartan alone or in combination with any medication that contains aliskiren (Amturnide, Tekturna, Tekamlo) if you are diabetic. Do not use Amlodipine or Telmisartan if you are pregnant. It is advisable to stop medication immediately if you become pregnant. It has been observed that Telmisartan can cause injury or even death to the unborn baby if medication is used during second or third trimester.